Very Interesting thank your sharing with us. By contact on our Gmail customer service number, users will be able to get entire update on the subject, reason of the issue, how it can be fixed and stopped in future, etc. We will also deal with enhancement the performance and security of your Gmail account. Great article, This is useful information, Thanks for sharing and keep updating your post. 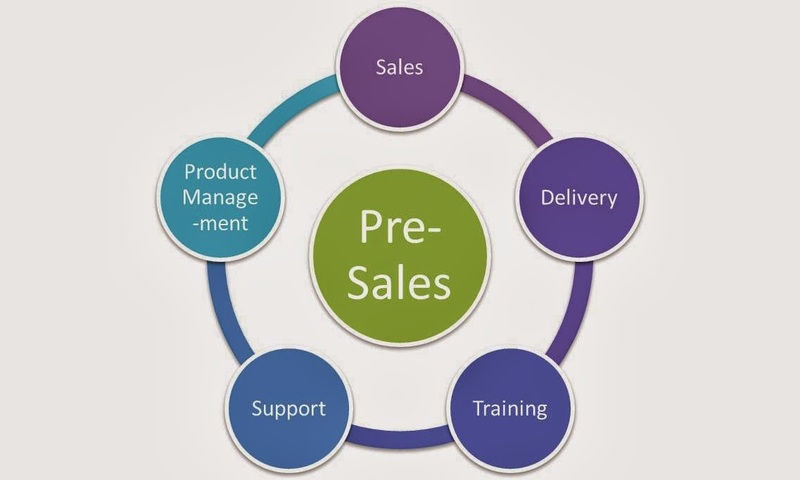 Really Good blog post about pre sales in product company .provided a helpful information.I hope that you will post more updates like this. I find this post very interesting for pre sales. The details are very informative. Skill set wise, You will need subject matter expertise - either on the Product or Services your company offers ; You will need good project management skills, Especially for making time and cost estimates, Good writing skills and Good Presentation skills.